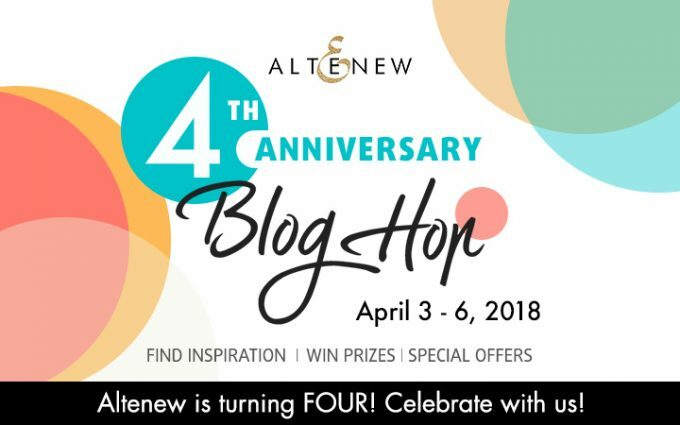 Hello and welcome to Altenew’s 4th Anniversary Blog Hop Day 1. Can you believe Altenew is already 4? I still remember as yesterday their very first release and how I fell in love with Altenew seeing it. Since then there were so many wonderful products released. I’m amazed by wonderful designs and diversity of products the company carries. And I wish it all the best. Live longer and prosper! You probably came from talented Nicole Picadura. If not – you may consider starting from the beginning at Altenew blog and see what other members of Altenew design team and guest designers have created. There are so many beautiful projects from talented designers. Also you on each stop you you have a chance to win a prize. The card on the left was made using one of the newest Build-A-Flower: Chrysanthemum. Black with gold and white is made using amazing Under Cherry Blossom Tree. Electric violet with lighting is done with amazing Rain Or Shine Set. And lastly the watercolor background over white embossing is made with With Sympathy Mini Stamp Set. I made three cards all using the same main product – Mandala Die. First I want to make a note that for all three cards I used Stick-It adhesive to adhere Mandala die-cuts onto a card. This is a sheet adhesive and with such intricate die-cuts I like using it, versus any other (for example liquid) adhesive. It’s much faster to adhere an adhesive sheet, then applying adhesive on all those intricate details. Also it’s very thin, so doesn’t add much thickness and doesn’t prevent from die-cutting all those details. The first card design-wise is pretty basic and straightforward – just an adhered die-cut. Here I played with colors, combining Navy background with “bronze” die-cuts. “Bronze” was made by blending Caramel Toffee and Paper Bag onto a white cardstock and spraying it over with Antique Gold Ink Spray. I die-cut the sentiment using a die from Script Words Die Set. I also added gold spray splatters onto the background. And several Rose Gold Sequins finished off the card. For my second card I went with less usual for me contamination – soft and light colors against gray background. I blended Blush, Rouge, Cotton Candy, Fresh Lemon and Autumn Blaze onto a white cardstock before die-cutting the mandala. And adhered it onto a Real Gray card base. Popped up sentiment and several sequins finished off the card. And after making the previous card I had left so many beautiful negative die-cuts so had to make another card. This die is one of those which have amazing both positive and negative die-cuts. I simply die-cut another mandala out of scrap paper, placed it onto a white card base and inserted negative die-cuts into their negative spaces. I didn’t use all negative die-cuts, they’re so tiny, it would be too much even for me haha. But as you can see the shape I got is still beautiful and cohesive. For the sentiment I went with white die-cut on white. Surprisingly it’s pretty visible and looks so gentle. A die from Script Words Die Set was used here. Several Crystal Clear Sequins were added at the end to finish off the card. The next stop in the blog hop will be Chameleon Pens. If you got lost, please go back to Altenew blog. Super creative! I love the looks of these! So very very pretty. I love how you used the negative to create another card. And I purchased one of my first Altenew stamp set after seeing one of your top cards you posted! You have such amazing talent. thank you so much for sharing it with us. Happy birthday Altenew, we love you. Wow, so many different ways to use one die set. I also love the black card with the gold embossed branches. Very striking! Thanks for the wonderful ideas for this set. The negative cuts Mandala is my favourite.!! Also from your favourite picks, that lightning one looks insanely Awesome!!! You are getting me into trouble! I have been on the edge about ordering the Mandala die and your trio of cards has pushed me over the edge! Definitely ordering it right now! TFS! These are so beautiful and make me want that die! Mandalas are so popular and these dies are fabulous! You did a great job with these cards. 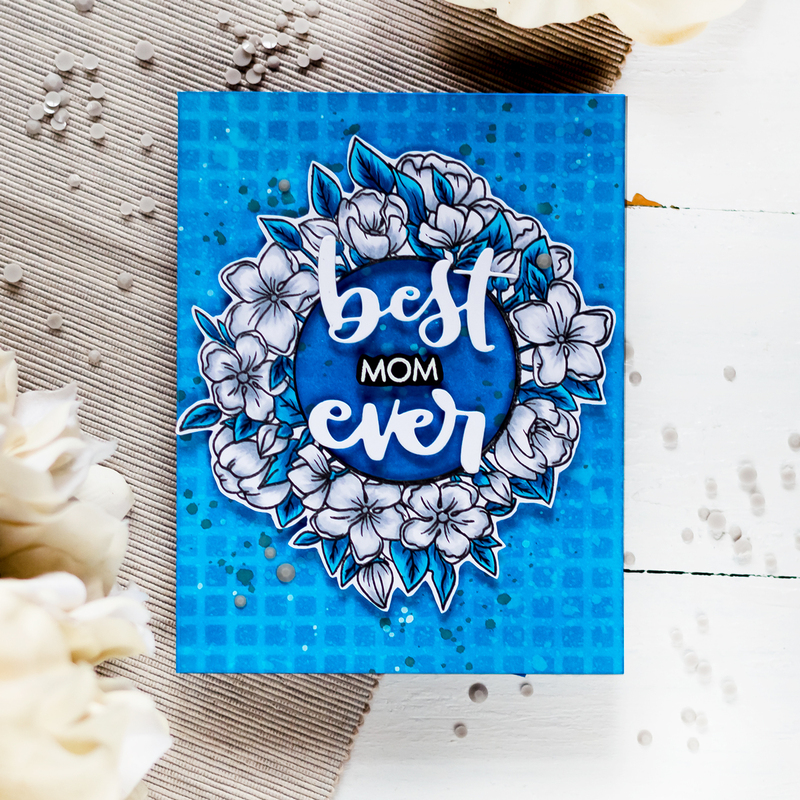 Your card using Altenew die cuts is stunning! All are lovely. Great job on the color blending. I love that die! it is going to have to go on my need list. Beautiful cards. Love the versatility of this. Thanks for sharing a couple f different ways to use it. Thank you for sharing the versatility of this die. My favourite by far is top right one in black. It’s so eclectic and the branches and florals just pop on the black background! Congratulations Altenew! This die is just gorgeous and your cards using it are stunning! Love your style! Happy Birthday to Altenew. Very pretty and simple. Love simple. So pretty! Great use of a beautiful die! Love your cards! They are so pretty and the colors were great. I love colors on my cards and yours were very beautiful. Thanks for sharing and have a wonderful week. I love the mandala die!!! Gorgeous cards!! I can’t pick a favorite, they are all amazing cards! Great cards using the mandala die. Great use of that Mandala. The color are so pretty. Three totally different and impactful ways to use this die! Simple but absolutely gorgeous work. Love this card, colorful and simple. Love this die. Beautiful card. I came from the beautiful Nicole but March 22 was her last post. Nothing about altenew birthday. Gorgeous cards! Thanks for sharing! All of your cards are so gorgeous, both the ones you made for today’s post, and your favourite 4! Thanks so much for sharing such amazing inspiration! Gorgeous cards ! I ordered the mandala die and I can’t wait to receive it, how could I haha ?? By the way, I so love the way you used the cherry blossom stamp !!! Love all these ideas you are sharing! I love the mandala. It looks just like doilies my grandma used to crochet! Your cards are beautiful and I love your color combinations. Thank you for the inspiration. Always dream to paint mandala! Yours are great! So bright and colorful. Love it. Stunning cards. They are all beautiful. Oh my they are so elegant! Lovely color choice for the mandala die! Your cards are gorgeous!!! Love the mandolin die, it is so pretty! Thank you for the wonderful inspiration! The mandala’s cards are great, but I’m love with your “lightning” card. Your color combinations are beautiful and what are those cute little puffy dots in your photographs? Love them! Thank you, Jan! Those dots are paper clips in form of macaroons. I bought them a couple years ago from a Japanese site (Rakuten) when was really into planners. They fail totally as paper clips, but I like using them as photo props. Your cards are very pretty! Thank You for sharing. I love the creative way you used this die! Especially like how you used the negative pieces to make a second card…bonus! Thank you for continuing to inspire. 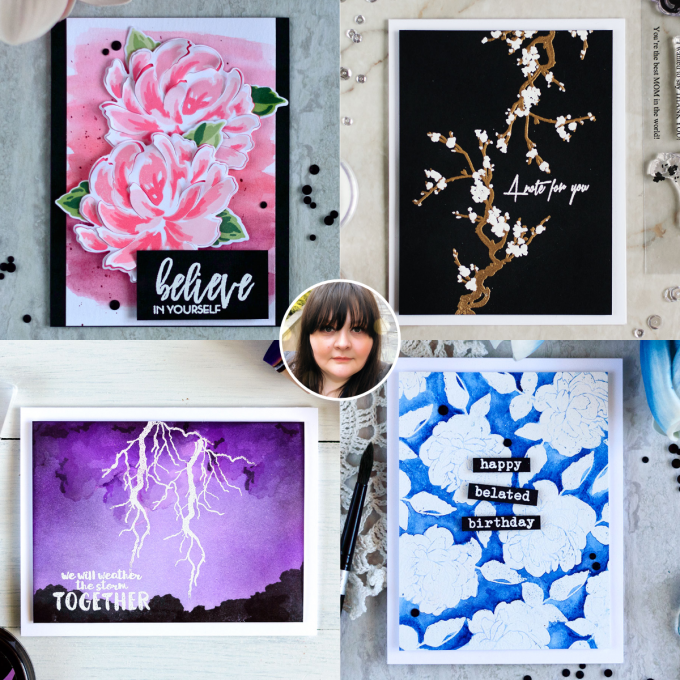 The mandala cards are so pretty, but I love your “Just a note” card using that black background with the branch….. super- creative! Thx for sharing. I’m really enjoying using stencils. You cards are lovely. This is so pretty and delicate. It reminds me of my grandmother’s crochet dollies. Beautiful work and color choices. I’d love to emboss that! Svitlane, your cards are ALWAYS great, how could you just narrow it down to 4? (EXACTLY! LOL) The Mandala die is gorgeous and you have certainly shown how versatile it is with these beauties! Well done! white & gold cherry blossom card!! Elegant. I am loving dies- you did a beautiful job with these! Thank you! I favorite your perfect storm!! Reminds me to get out that set and use it! Your Mandella’s are very eye catching too! What a wonderful way to use a versatile die! Love this! I have been looking at the mandala for a while-but seeing your beautiful work has convinced me I need it NOW! 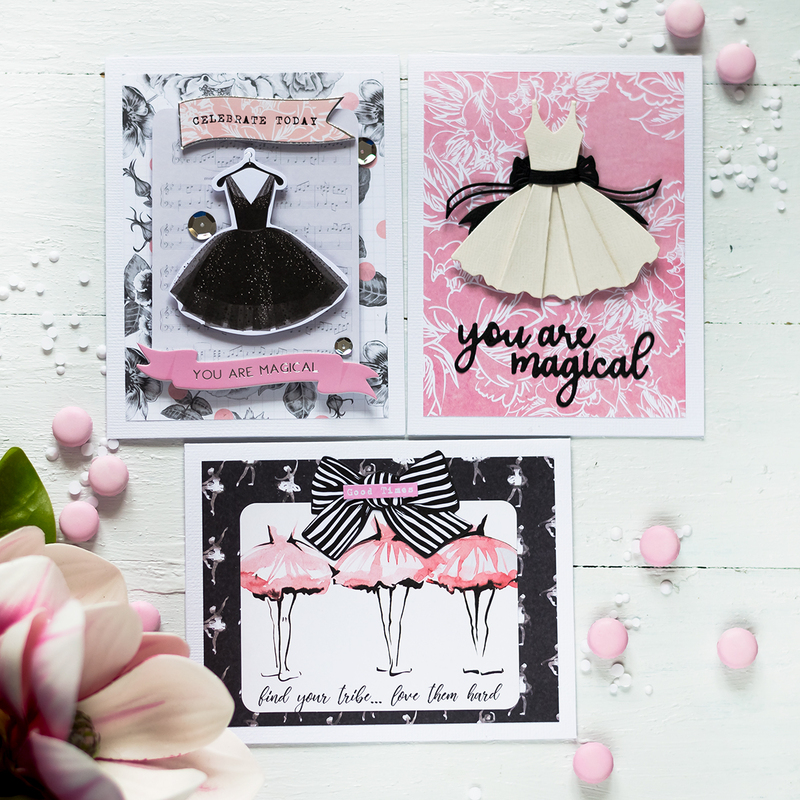 such a wonderful variety of inspiration with the one die – all so lovely! What fun ways to use this die! Love the look and color! Love when you can make multiple cards at once for different looks! Great cards! Your cards are amazing! I love what you did with the mandala cards. Such wonderful colors. Thanks for the fun blog hop! Colorful and simple. I like them! This die is amazing and I love the unique ways you used it. Gorgeous designs. I love all the color. Pretty cards with the mandala die and I like seeing your most favorites again. For your best card I also love the violet Rain or Shine, that is such a great set and that card is the reason why I bought the set! Thanks for sharing. Love how you used the die and the negative and that soft blended color scheme! So pretty! Altenew has beautiful flower stamps. Their build-a-flower sets are amazing. I can’t wait to see what stamps they come up with next and see all these talented ladies show case Altenew stamps with their beautiful cards they share with us all! Very pretty , thank you for sharing . Great tip on the stick-it for the Mandala die. Your cards are always amazing and you have such a truly unique style that always inspires. Happy 4th Anniversary Altenew! Stunning colors, stunning designs, wonderful inspiration. So pretty! I never know what to do with mandalas ( but I love them)! Thank you for the inspiration!! Beautiful cards with gorgeous products. Congratulations to my favourite stamp company! I’m so glad I discovered Altenew early on with one of my all-time favourite stamp sets – Vintage Roses. Since then I have been stunned again and again by their beautiful products – especially their layering flowers. Here’s to many more happy years! So pretty! I love this community and how everyone is so giving with sharing their time, their talent,……oh, and prizes! Happy Anniversary, Altenew! I love that you showed a few ways to use the same product. I love your choice of colors. TFS. What fun cards! The first one with the die cut sure reminds me so much of crochet doilies, like you have in the background. They do make beautiful cards and I love the colors that you have chosen for them. You have made some beautiful cards! All of your Altenew cards are just lovely! I always enjoy seeing the same item used three different ways. Love all three of your cards with the same die. Thanks for sharing. Cards are so interesting and the blending of the colors are beautiful! Thanks for showing us 3 different ways to use the mandala! I will have to purchase the Altenew Mandela die and play with the negative cuts. You have inspired me, again ❣️ It is the perfect die for this technique. Thank you, just beautiful. 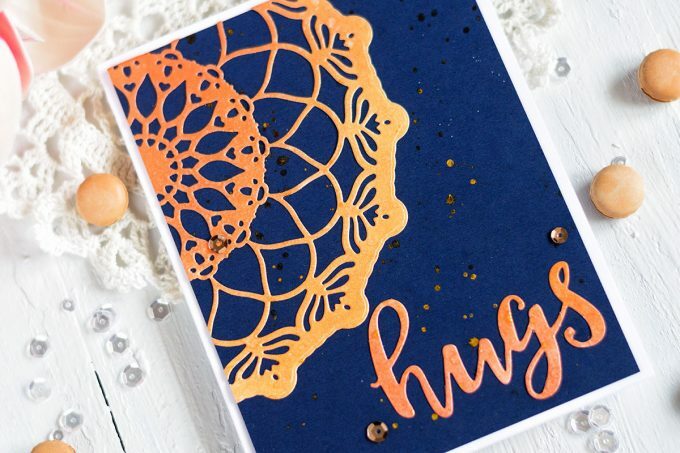 Theses are great tips on how to use the Mandala Die and the cards are so Gorgeous. Thanks for all the inspiration you give us. I didn’t see it until you said it, but I can see why you skipped some of those tiny bits on the last card. I love the colors –both combinations are beautiful. I think I may invest in some dark navy blue cardstock next. Every time I see it, I can’t help but think how stunning it looks. Thanks so much. You are so clever! I love how creative you are with the same die-cut. What great ways to use the mandala. I’ve looked at that on the website and admired it, but I didn’t know how to utilize if for a card. Thank you for the ideas. So ingenious. Love the three cards featuring only one product. Very inspiring. Lovely and colorful, fabulous projects. Fantastic cards! I do love the large dies that can be used for inlay. Gorgeous line-up of favorite cards Svitlana! I am in awe of your talent. Fantastic mandala cards! Even though it is such a distinctive design, you created such different cards. Wow, these cards are so lovely! Gorgeous products. 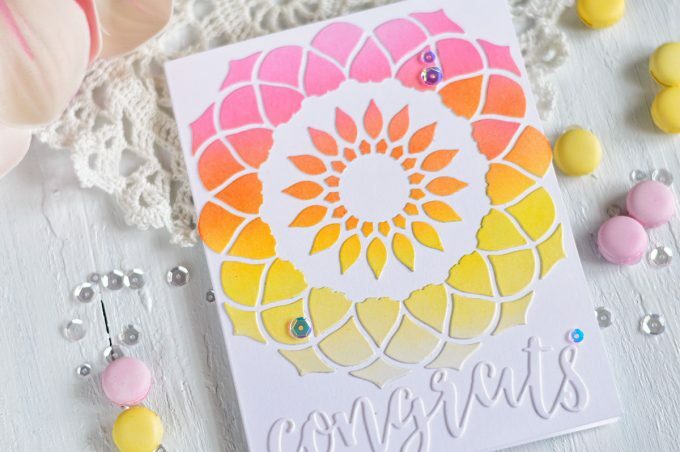 Love your cards and the use of the mandala die — so creative and the colors really pop! Beautiful! Svitlana, these cards are beautiful! Thanks so much for sharing your talent! Happy Anniversary Altenew! Wow! Such stunning cards! I am loving that lightning card and the one with the cherry blossoms. Is there a video somewhere on that lightning? Thank you, Annette! I make videos very rare. They take me a lot of time since I’m a perfectionist in a body of procrastinator lol. And voice over takes forever too. But I try to write very detailed explanations of how my cards were made. If you click on the link for this card you can find a blog post for it. This card was actually very easy to make. I stamped clouds and inked them over. For the ground I used clouds as well. And the lightning is white embossed. Wonderful that you’ve shown different ways to use the same die cut. Absolutely love the last card using the negative pieces! Fantastic cards and I love all the color and simplicity yet able to wow someone. As far as the lighting, did you use the cherry blossoms branch? If so, amazing! I wasn’t sure about the mandala since even storing it would be tough, since its so big for my bins, but now I know I have to have it. Thanks for sharing! For lightning I used actually lightning stamp, from Rain Or Shine Stamp Set (I linked the blog post for the card and the stamp set there). Your mandala card is pretty but I especially like your Chrysanthemum in pink! Thanks for sharing. Your projects are stunning. Thanks for showing how to use the medallion 3 different ways. Very creative. I love the Mandala cards…Beautiful colors and design. Love the different ways you’re using the Mandala die!! So many possibilities! Love your cards and love the blending you did with the colors. 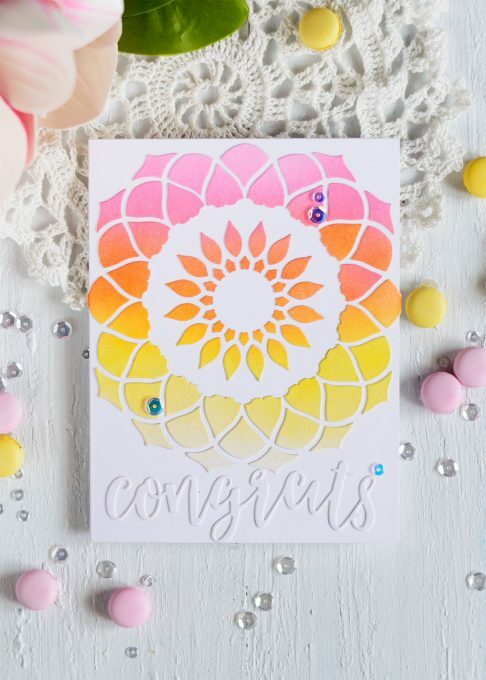 The mandala die on color blended paper is so pretty, and two cards for one! I love your cards and how you showed us there are several ways to make a card with one product. Thank you. Such pretty and colorful projects! Just fabulous! The colors are so lovely! This is a gorgeous die and deserves to have 2 cards made from the pieces. Love what you have done! Love this die and really love the cards you made with it!! Love the pinks, oranges, yellows and coppers in your cards. They scream spring to me! It’s always great to get a “bonus” card when using dies. Your cards turned out great. Thanks for the inspiration. Always love it when you get two cards out of one project! Amazing that you can use one die and get so many looks. I love all the bright colors, will need to try these techniques. Love this company!! You gave me great ideas to use my Mandala die! Thank you! Great color combinations and use of the dies. Thanks for sharing! I love how you were able to make two for one! And I love the use of gold specs on navy card stock. Fabulous mandala cards. I really liked the one with the navy colored background and “bronze” mandala. Love how all the cards are so different and colorful. The mandala on your card looks like hand made lace! Stunning! Love the mandala cards, TFS! Really like the mandela die and enjoy how you used it. Beautiful, beautiful, beautiful! I can’t pick a favorite because I love each one! Can’t decide which of your cards I like the best. Probably the first one. All are very pretty. We all are probably a little critical of our own work, but yours has always been an inspiration for me. Thanks for all the lovely ideas! 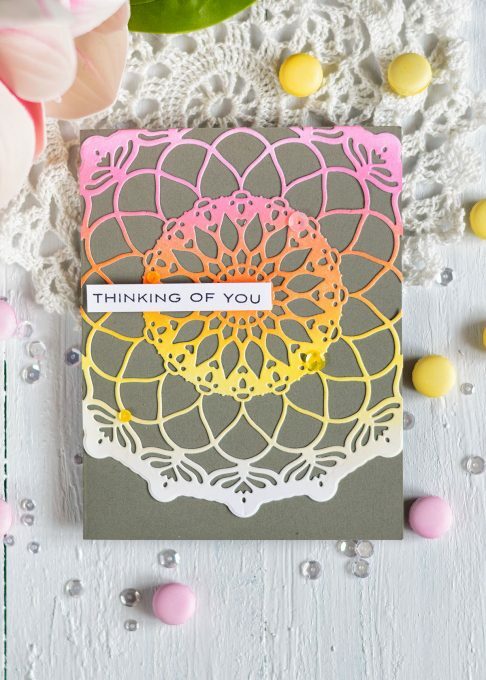 You made stunning cards with this mandala ! I love what you did with the Mandala die! The rainbow cards are definitely my favorites. In fact, the third card with all the bits and pieces has got to be my favorite… Even if you didn’t waste your time with all the tiny pieces! Your mandala cards are just stunning! I can’t even pick a favorite…they’re all so beautiful! Thank you for sharing your creativity with us …you’re an amazing designer! I love blog hops because they inspire me to create! Like the variety achieved using the one die. Love all your cards amazing work. I love the variety of ways you used the die. Can’t decide which I like best – they are all beautiful. Wow all impressive cards. Thanks for sharing your talents. I could not choose one favorite. I liked them all. Hi, I knew you would be in the hop and couldn’t wait to see what cool cards you made, your 3 cards are so awesome, love them all. 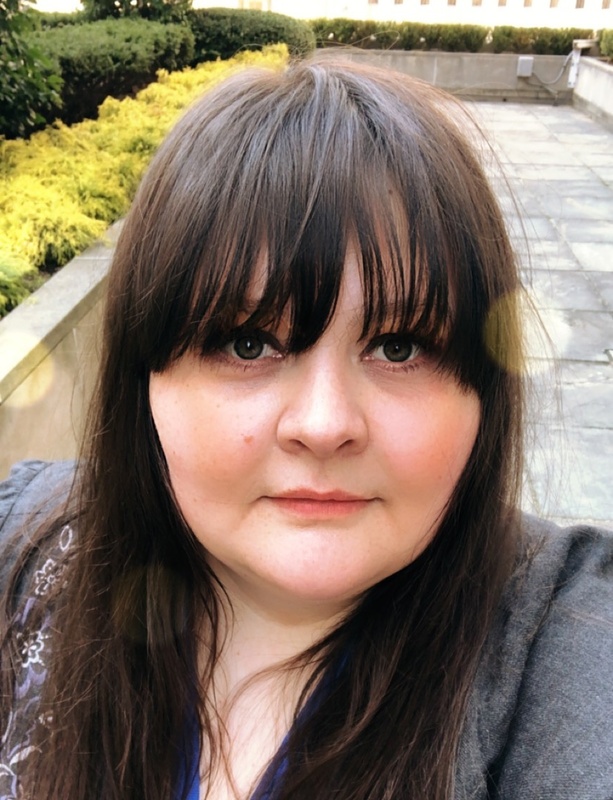 I also really love love the favorites you picked out, I remember them all and I can’t believe you would EVER be critical of your work, you are an amazing designer, I love your work, I have followed your blog for a longtime your cards are ALWAYS AMAZING girl. Happy 4th Altenew!! All your cards are so lovely! Happy birthday Altenew!!! You truly stand apart and have the most beautiful products! I look forward to what comes next!!! Fabulous cards, love the bright colors you used. Happy Birthday to Altenew! Thank you for the wonderful inspiration! Wow!! I’m new to your blog but have to say that you definitely rock the Altenew stamps & dies!! So inspiring! Thank you and thanks to Altenew! I love the beautiful Mandela die. I have to get that one! These are all so beautiful!! I specially love that first one with the dark blue background! Great cards–and you have a lot of patience! Thank you. These are all so stunning!! I love the designs and colors of each one!! Thanks for the amazing inspiration!! Such pretty work! Thank you for sharing your talent with us! Love all the different looks you got for these cards beautiful! Very creative way to use the die. Love the colorful one best. Svitlana, what beautiful cards! How great that you showed us three methods. I love the blue card with the mixture of inks and spray color. I would never have thought of doing that, but I won’t forget that technique now! I also love your positive and negative use of the mandala die. Also love the pastel color combination. The electric violet lightning card is absolutely stunning! I wouldnt mind a storm if the sky looked like that! Your cards are always beautiful. 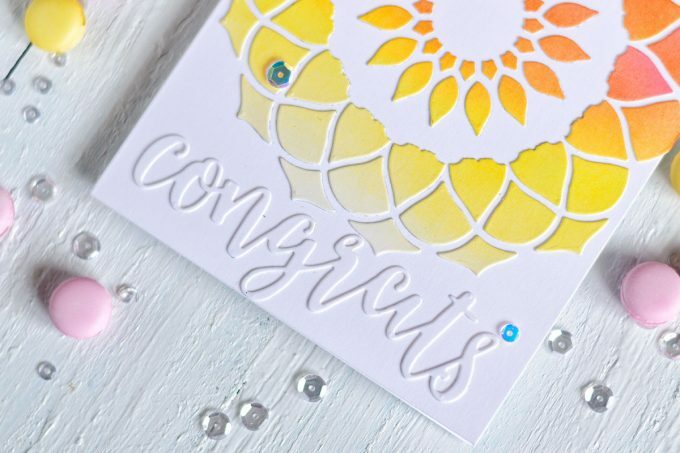 I love how you created all these gorgeous cards from the Mandala die! I love using stick-it for my intricate cuts too!! I love the navy and gold card so much! It just pops!!! The other two are also super cute! But those cherry blossoms are stunning!!! This is my favorite card as well! The cards are stunning. Love the various ways to use dies. Thank you for sharing and teaching. One die so many options. Very creative designs. Love seeing different takes using the same products. My favorite is how you used the negative pieces. happy birthday Altenew. great card ideas. thanks as always for sharing. I love to see more than one way to use a stamp or die because it helps me not only get more for my money but use it other ways so I don’t get bored with it…great ideas! These card ideas are just wonderful. Great creativity! Happy Anniversary Altenew! 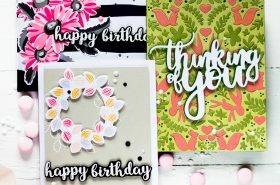 Beautiful cards – and such great ideas on how to use the die. Thanks for the inspiration! Love your card trio., pretycards and I love these contrasts. AWESOME cards! I love the variety of looks you achieved with the mandala! Such beautiful cards! I love the fact that you show many ways to use these new Altenew products. Your creativity is boundless. Love that gorgeous mandala die! Another one for my wish list! Fabulous cards! Such pretty cards – love the colors. Very inspiring cards. Love the 3 ways of using the die. Amazing! I love the patterns, color, and designs. Just lovely. Such cute use of the mandala die! Love your color choices and design! OMGoodness!!!!! Your designs\creations are BEAUTIFUL!!!! I love what you did with the lightening card!!! Wow your cards are so cool! I’m loving the thinking of you one the most! I love the ombré dollie. Amazing! Now I know what my next Altenew buy will be. The Mandala dies are beautiful in itself, but, WOW, you made them stunning! 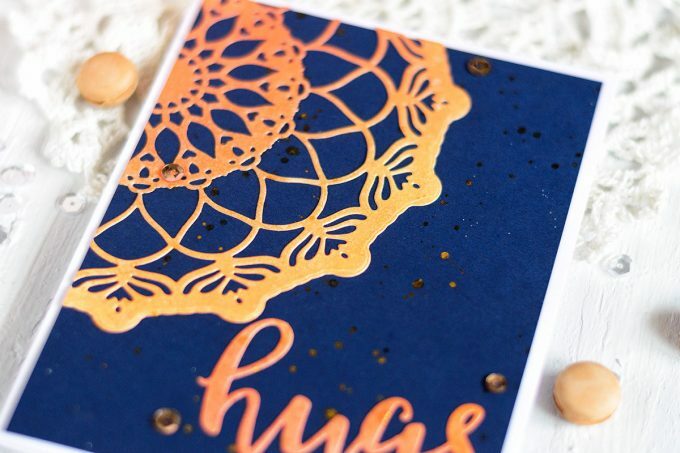 Great cards – I love when you can use dies in ways that also look like stencils were used. I L-O-V-E how you used the die here!! Absolutely stunning cards, Svitlana! I love the mandalas but the die makes creating them so versatile. Welcome to the US! And keep up the awesome work. Wow! Wow! Wow! Love your Mandala cards. They are all so stunning! Thanks for the inspiration. Your cards are stunning. Love the colors you chose. Thanks for sharing. WOW! That Mandela die is fabulous, love how you have used it in the different ways! Gorgeous colors too! Wow! Love your cards! This die is amazing used the way you made these 3 beautiful cards! The different colors you choice really sets the Mandala up to be one of my favorites! Thank you for sharing! I think all of your cards are beautiful, but I especially love the cherry blossom card done in gold, white and black. I would have never thought of that, but now I can’t wait to try it. All of these cards are incredible! I love that mandala die. The mandala dies are really interesting because you are creating two cards at once just with the intricate inside pieces. You have made some amazing cards with Altenew products !! I loved the cards with mandala die ! Specially the colors. Wonderful designs Svitlana! Love how you created two cards from the same diecut! Thank you for all the inspiration you share with us! Have a wonderful day! Such beautiful cards! You are a wonderful artist and I am learning a lot from you in the Altenew Educator Certificate Program – Masking class. You are GREAT! Gorgeous cards!!!! Love your style. I clearly remember that purple lightning card – loved that one!!! What a wonderful mix of card designs! Love your cards and the use if the die. Thank you for your inspiration. Such creativity you have! Beautiful work. Such pretty cards and all so different. I really like the cherry blossom. That mandala die is so pretty and the cards you created are amazing. Thanks for the giveaway! I love your designs! So pretty! What beautiful ways to utilize the die. Thank you. All of your cards I have seen using the Altenew products are gorgeous. They are an inspiration to create more cards of my own. Thanks for sharing. Such lovely cards! I really like this new mandala! I love the multi-colored effects you did. Totally awesome, love the cherry blossoms! Your mandala cards are great. Happy Anniversary Altenew! These cards are gorgeous! I thought you had used stencils and embossing paste until I read these were dies. Yummy. Thank you all for your generosity. I love these dies! and the colors you used are so pretty! The 4 cards you showcased & beautiful also! Love the purple one with what looks like lightening! Beautiful cards! I love this new Mandala die. So much detail! I’m new this scares me its so good!!! Spring colors with the Mandala – so nice – so welcoming. Beautiful cards! Love you use everything and it gives you multiple looks too. Beautiful blending and great use of dies. Really clever way to get the most out that gorgeous Altenew die!!! 3 simply beautiful cards! I LOVE this card and can’t wait to try making it myself. I think the “bronze” and navy colour scheme is my favourite. Thank you. Wow, those are gorgeous. Thanks for sharing with us and inspiring us. Gorgeous use of the Mandala…so pretty! I’m new to Altenew stamps–in fact, my first is on order. I can only hope to do 1/2 as well when I try it. All of your cards are so beautiful – including the 4 from previous posts!!!! What a beautiful cards! Congrats on 4th year Anniversary Altenew! Great ways to use that mandala die! What a labor of love to piece those negative cuts, but a brilliant way to do it! Happy 4th to Altenew! I love how you used the Mandala is different ways and with lots of color. Beautiful! I am Very excited to see All the different things you can do with this Awesome Die!! You really rocked the cards you created!! Thank you so much for sharing your Creativity!! Love how creative you are with those dies. All special and wonderful. I also love the Build a flower Chrysanthemum set and the card you featured with it it’s gorgeous! WOW!!! I love the cards you made. thank you so much for the inspiration to use the Mandala die this way!!! Lovely cards!! Thanks for sharing multiple ways to create different looks. So creative! Creative, simple, and very lovely!! The cards are so pretty! I love the Mandala die– reminds me of vintage crocheted doilies. Love the vintage look of the second card, especially. What gorgeous cards! The colors you use are perfect. So creative! I love to see how everyone uses the stencils. Gorgeous cards! Thank you for sharing. Love all 3 versions of cards with the mandala, they are all so gorgeous! Thanks for the wonderful inspiration! Love all 3 versions of cards with the mandala, they are all so gorgeous! Thanks for the wonderful inspiration. I love them! Thank you so much for showing how versatil this die set is! These are gorgeous cards! Great creations. Lots of great ideas. Thanks. Your mandala cards are really cool. I like how nothing wasted, using the negative part as well. Lovely designs. Happy Anniversary Altenew! Love the bronze effect you got with the hugs card. Love themandala too. Gorgeous cards!!! Colors are amazing!!! I always love seeing your work, you are so talented. I love how you used the negative pieces of the mandala die for the card. Love your work it is amazing. Wow – those MANDALA DIE cards are really lovely. Thanks for showing a variety of ways to use them also. I love to see beautiful ways to stretch my supplies like this. Gorgeous cards! Thank you for sharing. Beautiful Cards!!!! Thank you for showing how many different looks you can get. It really inspired me. Beautiful cards. You make it look so easy! Three beautiful cards! Thanks for the inspiration on creating different projects using the same die! Like the way you have used both the positive and negative mandala die cuts. Great cards and you have made me think outside the box. Amazing, 3different looks from one die. You’re cards are lovely. 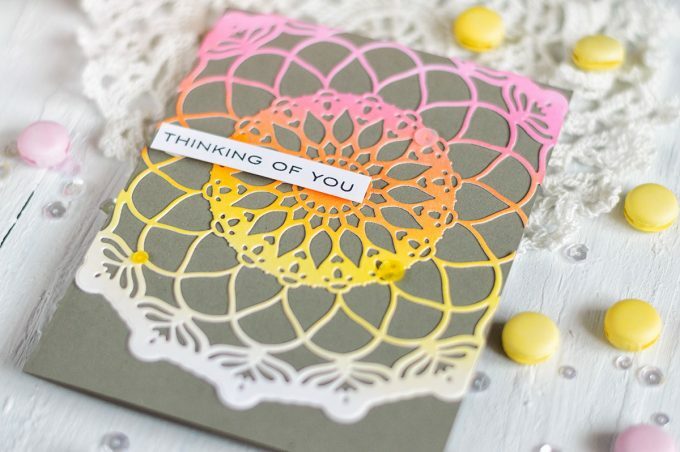 Beautiful cards and I love the brights colors and all the ways you used this mandala. So pretty! I know it’s not the focus of your post but this card… “Electric violet with lighting is done with amazing Rain Or Shine Set!” I hadn’t seen it before, it’s absolutely lovely. Love your mandala cards … got to get this die cut! And I agree, so difficult to choose from all the wonderful Altenew creations! But your lightening card is mt favorite. Thank you for the inspiration! Beautiful cards and love your watercolouring. Thank you for sharing. love that mandala– and your cards! Such beautiful inking and die cutting. I especially love the negative space card! What lovely designs!! I adore the colors you chose and your use of the white space is amazing!!! Beautiful cards! Thanks for sharing some inspiration! Your Mandala die cards are gorgeous–I really love the effect on the gray background! Lovely! Such wonderful inspiration! Another amazing release from Altenew! Your lightning card is super awesome, really love it! Beautiful cards. Thanks for sharing your talent. Very versatile die that I will now have to covet :). Thanks for sharing your “two-for-one” idea and your very pretty card. Stunning cards! Happy 4th Anniversary Altenew. You always make such beautiful cards! I love the variations you did with the mandala, my favorite being the one where you used the negative pieces. Oh my gosh, your cards are amazing! I love all 4 cards that you showed first. I especially love the cherry blossoms! I never got to see any in person but my mom did on her honeymoon many years ago in Washington. She said they were beautiful and just by looking at your card I can see that they were. I also like how real the lightening looks on your card. I can just hear the noise the thunder makes with the lightening. Your cards are amazing! Looking at your Mandela card I am so totally wanting a die cutter right now! Those cards are so amazing too! I see that you also used my favorite color in the whole wide world on a lot of your Mandela cards, yellow. I am amazed at all the talent on this blog hop, including you! Thank you for showing us your colorful and amazing cards and for giving us the chance to win something. Love your cards! The new Mandela die is awesome! I can’t wait to get mine. Thank you for the inspiration, you always do such beautiful work. I love the colors you chose for these mandala cards! Love that blue background on your one card. Nice work. Wow, when you had to pick your four favorites, I see how it would be hard to narrow it down. The purple “we will weather the storm” card is awesome! I enjoyed seeing the mandalas too. A great way to use up the negative bits. Thank you. Absolutely beautiful cards! The mandala die is a must have in my opinion! Beautiful mandalas! I love when I can get more than one card out of my dies! Thanks for the inspiration! I just love mandalas. Your passion shows through your work. TFS! Gorgeous cards!! That Mandala die is definitely on my wish list!! 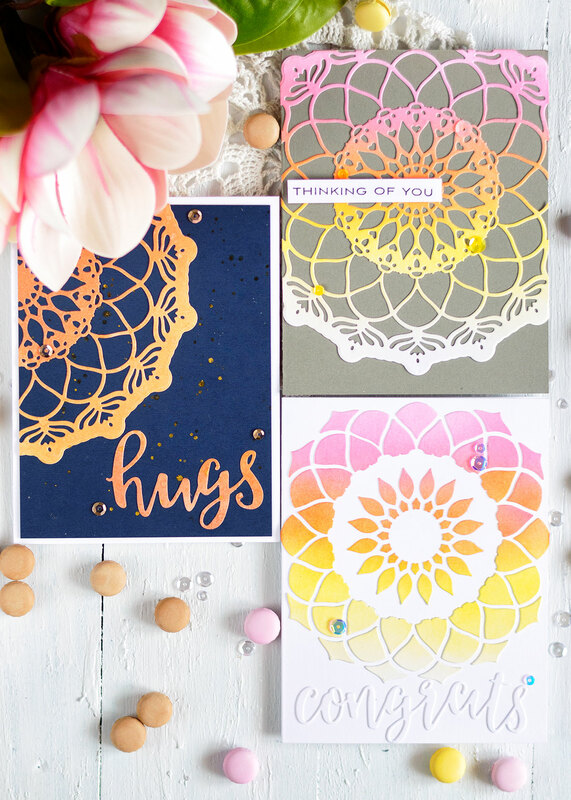 Wonderful cards – I love the soft colours of the mandala. I am loving how you used that die! 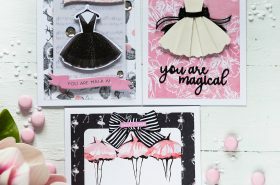 Gorgeous cards & fabulous 3 ways of using 1 die! The first thing I said when I saw your cards was oooh, Wow. They are like watching fireworks. Each uniquely beautiful. I like your favorites too. This is so interesting to see what people choose as their favorite projects and why. I completely agree with you that sometimes I don’t feel like I’m doing much creating because Altenew has done all the work for me! It’s not true, but it can definitely feel that way. I think your cards are fabulous, both the old and new. I love a good 2-for-1 die cut. thanks for sharing all these with us and for all your amazing work as a DT member! Very clever use of color..enjoying your creativity. Lovely cards, I especially like the three mandala die cards. Gorgeous cards! Love the mandala die cards. These look great! Good job! Beautiful use of the die. Gorgeous project s–love the rainbow colored cards, just gorgeous! Thanks for the inspiration for using this gorgeous die. These cards are all so beautiful! My favorite is the gorgeous navy with bronze! Love that combination! Very nice… Love how you used the negative pieces for another card. Hard to pick a favorite out of the ones you shared today. All three of them are wonderful ! The colors are so gorgeous and I love that you used the negative to create another beautiful card ! TFS. Oh my !! These mandala cards are absolutely stunning !! Very vibrant, thank you for sharing. Your cards are so amazing and outside the box. The navy and bronze card makes me swoon 😍, especially because navy is my favorite color. I really admire your creativity in using two inks to create bronze. Thanks for sharing. I love your cards! I was so drawn to your lightning card! I’ve never seen anything like it, and it is just stunning! TFS! Your work is beautiful! Love the dies you used! 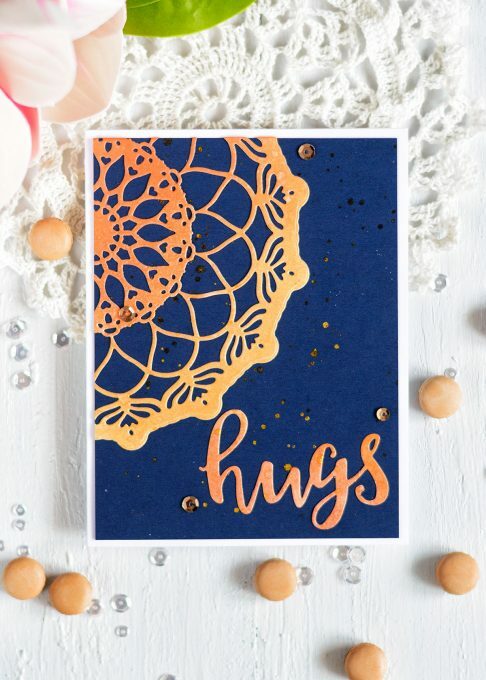 Lovely card and creative use of dies! Beautiful cards, love these mandalas though they all have a different look. And your 4 chosen favorites are stunning too. 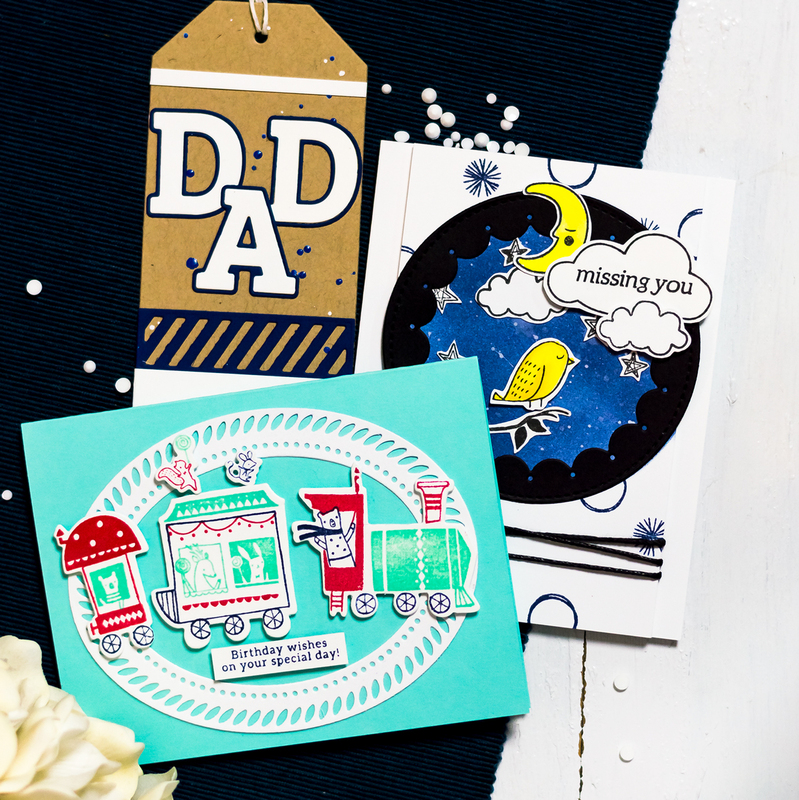 I love your cards – all your four favourites are stunning! Gorgeous cards featuring that mandala die! Especially love the last one with the negative pieces! I have never seen your purple lightening card. That is a work of art. Wow! I need to look at that set. All beautiful creations! Thanks for showing the versatility of the mandala. Super helpful! Wow ! Fabulous coloring ! Great job !!! I love the look of mandalas and your are so pretty! Wow, that Mandala Die is a die to die for and what a stunning cards you made with it Svitlana, simply gorgeous! Thanks for 2,5 years of showing us beautiful examples with the great products from Altenew and Altenew, Happy Anniversary. I so appreciate the use of one die to make several different cards which are beautiful! THANK YOU! for sharing the one die- 3 ways post! I sooo appreciate it when I see these…it not only shows a product’s versatility, but gets my creative gears turning so I can go back and look at my own items in a new way. Love this Mandala die- and the reminder we don’t always need every teeny piece to get a fabulous result. Beautiful! 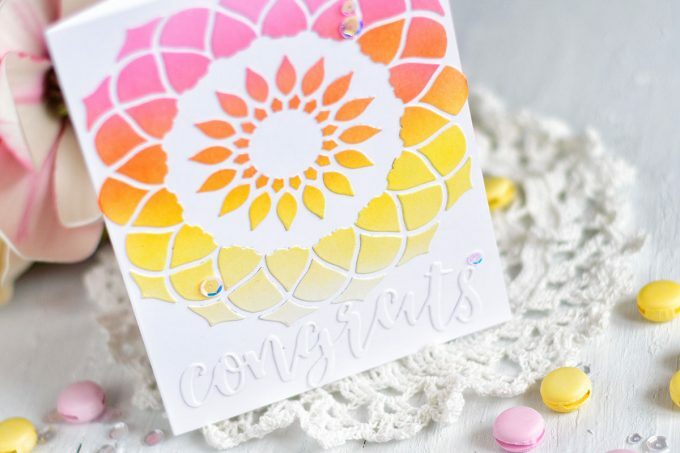 Love all 3 ways you used the Mandala die! Very pretty! Thank you for sharing with us! I love seeing a die used in various ways. I especially liked the colors used with the pink, yellow and orange ones. Love the dimension and color to your designs. Thanks for sharing and Happy 4th Birthday to Altenew! Pretty ways to showcase medallion! So pretty, love the different ways u used the mandala. Beautiful cards! I love that you got 2 cards out of one die…and such pretty colors! Love this stencil! So pretty and love all of the different ways you’ve used it! Such a beautiful set of cards. I love seeing all the ways you can use the mandala die. This are just gorgeous! Thanks for sharing on today’s blog hop. Happy Anniversary, Altenew! Love your cards, they came out fabulous! I really like that Mandala Die and your use of the negative space. Thanks for sharing! Your cards are so beautiful! I love the fun colors, thanks for sharing. The shaded die-cut as background is so beautiful!! I love the classy look of the Mandala die. I am very inspired by the completely different looks that you have achieved with a single die. You are so creative & your cards are just beautiful! You truly depicted how versatile the Mandala die can be. Happy Anniversary to Altenew! Your cards are lovely. That die is just gorgeous. Thanks for sharing. Absolutely wonderful cards! Love what you did with the last one – perfection! Oh my, gorgeous designs and colors. 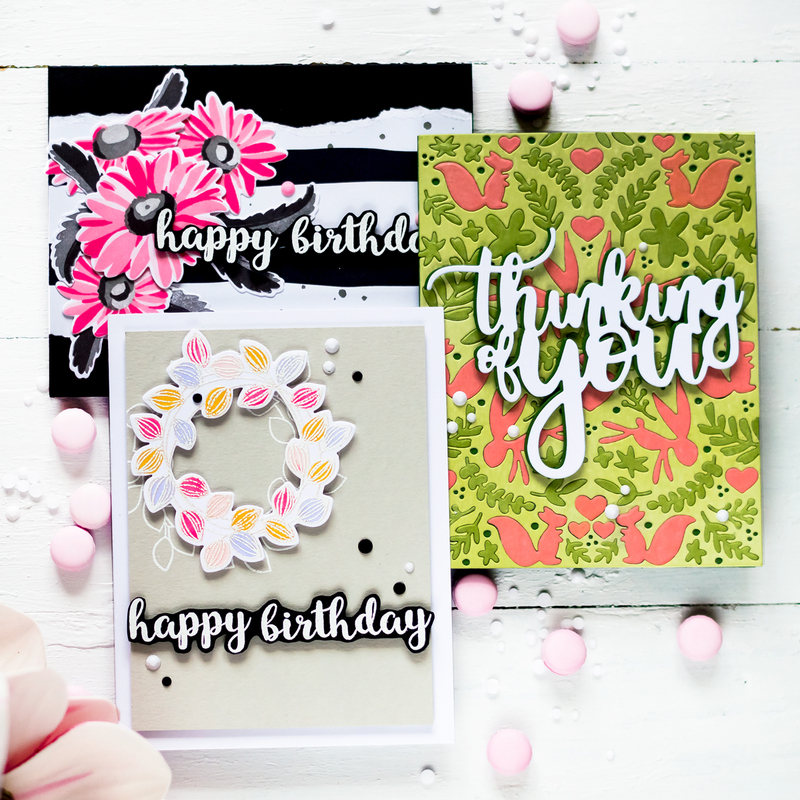 Love the way you’ve used these products on your lovely cards. Your projects are beautiful! I love the way you showcased the variety of looks you can get too! Beautiful cards with the mandala die! The lightening card is still one of my favourites of your creations! These are all so beautiful and unique! I love visiting your blog! Beautiful cards and awesome colour combination! This mandala die is so gorgeous and is another one at the top of my wishlist! Fabulous cards. Great colors and love how you inlaid the card with the leftover pieces! Love how you’ve created different looks using the same product.